Hey Dreamers, are you someone who is interested in the BoxyCharm subscription box, but don't know if its worth it? Well it's officially been a year since I started my subscription journey with BoxyCharm. As someone who lives in Canada it's a different relationship to commit to compared to someone who lives in the United States. If you live in another country like me and want to know my experience with BoxyCharm and the money that goes into it, just keep on scrolling!! With each box comes with a theme that is portrayed throughout the month. For this month the theme was Caribbean Queen where the products all related to the theme. Each box that you receive it is a USD $21.00 value. However, it is different if you are living outside of the United States. 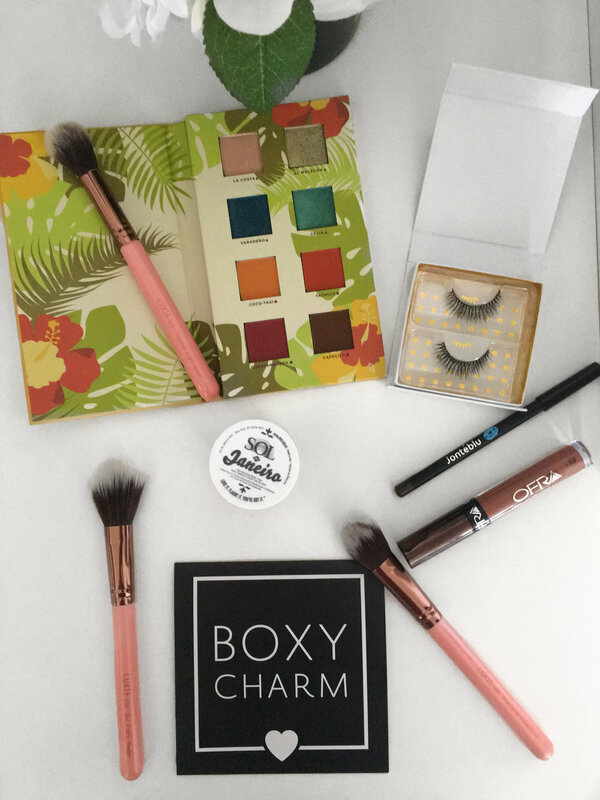 Currently BoxyCharm only serves individuals living within all United states territories and Canada. Living in Canada I pay CAD $34.00 for each monthly subscription, which is more expensive than the $21.00, but I do believe it is worth it. The products in the box are way more expensive than the value of the box itself for instance, this box when calculating the value of each product came to $134.00. Not only the products I receive every month, but Boxycharm gives out different perks for each Charmer to use and experience. In every box there are coupons to use at the back of the BoxyCharm card that can give you a discount to products that you love in the box and want to purchase again. This month 20% off Sol De Janeiro was offered for purchases of $50 or more. If you love trying new products and want a cheaper alternative to do that I do believe that this is the best box for you. As a blogger who enjoys beauty I was looking for a easy way to experience new products every month to share with you who are constantly reading my posts and I knew this was the best option. Not only the products themselves were amazing every month, but all the other perks such as the coupons were something that I appericated within a subscription service. Another AMAZING perk that Boxycharm has for all their charmers is the charm room where you are able to use your charms you collect through each monthly purchase and each review you write on their website to pick products FOR FREE (well with your charms). This GrandeLips hydrating lip plumper from Grande Cosmetics was a product that I picked with my charms that I had collected with leaving reviews on certain products I liked and disliked in pervious subscription boxes. Boxycharm sent this product to me without me having to spend any money on the product or the shipping process to Canada. I think this in itself is an amazing perk for charmers to experience. Not only are you getting products in the BoxyCharm every month, but if you didn't receive something you wanted to try (because BoxyCharm alternates different versions of the products in the box to different individuals) you can use your charms to collect different products. 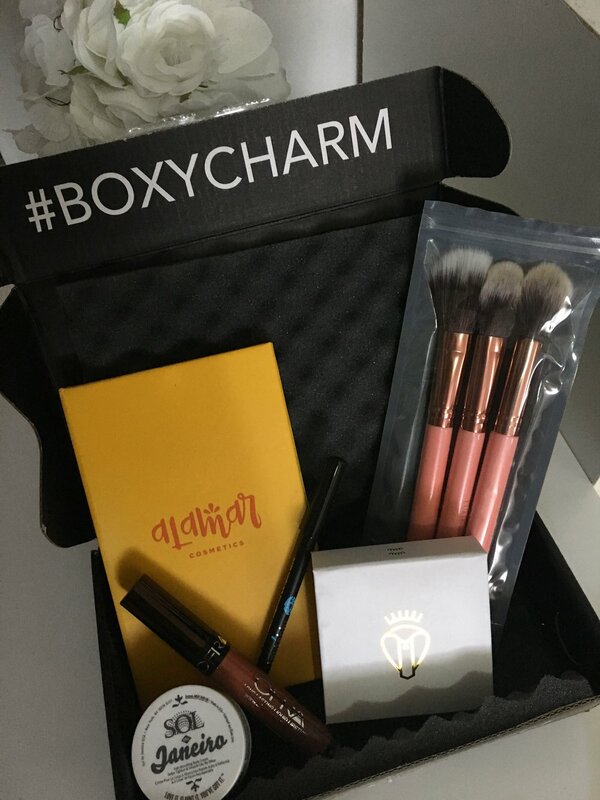 BoxyCharm is constantly updating the charm room with new products to give to their charmers. I currently have 700 charms just from simply reviewing products whenever I can and purchasing a BoxyCharm every month. If you are thinking about subscribing to BoxyCharm and still have a few more questions COMMENT THEM BELOW. I'd love to respond to you! !